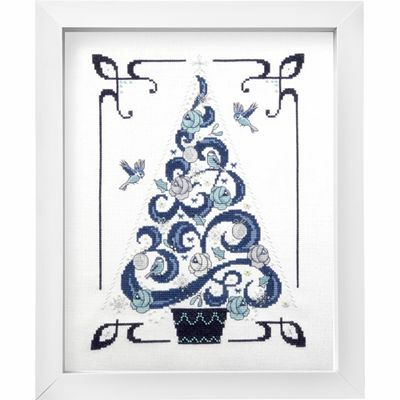 Whimsical Christmas tree in blue. Count: 110 x 150. Model stitched on 28 count white Zweigart Evenweave. Needs DMC threads, Metallic thread, Mill Hill beads and sequins to finish.